Another little-known fact to most is that an inherited IRA can be preyed upon by an inheriting child’s creditors, predators and divorcing spouse. There is a way however to prevent that from ever happening. The solution is to have a barrier between the retirement account and the beneficiary. This barrier is called a Standalone Retirement Trust. The Standalone Retirement Trust strategy is right for those who want to give their children or other beneficiaries the gift of a stretch-out out of their IRA or other retirement accounts while protecting the accounts from a child’s creditor, predators or divorcing spouse. You may not even realize that the stretch-out of your IRA could provide your children ten (10) times or more the current balance in your IRA when inherited if the account were properly stretched-out over your children’s lifetime(s). Remember that the tax laws and IRS rules may change over time, potentially limiting the effectiveness of the Stretch IRA strategy. However, at the time of this writing, in California, the top state and federal income tax rates combined amount to a tax rate of over 50%. Therefore, if your beneficiary has direct access through your beneficiary designation form to cash out your IRAs or other retirement accounts when they inherit them, that could place your beneficiary in the highest income tax bracket for that year (depending upon the size of your account(s)). This in turn could result in more than half of your retirement accounts being lost to the IRS in income taxes when you pass. Keeping these factors in mind, it’s important to stretch-out your IRA distributions for your beneficiaries as long as possible (the stretch). It is wise to consider protecting a child or other beneficiary through the use of a special type of trust called a Standalone Retirement Trust (sometimes also referred to as a “Retirement Plan Trust” or “IRA Trust”). 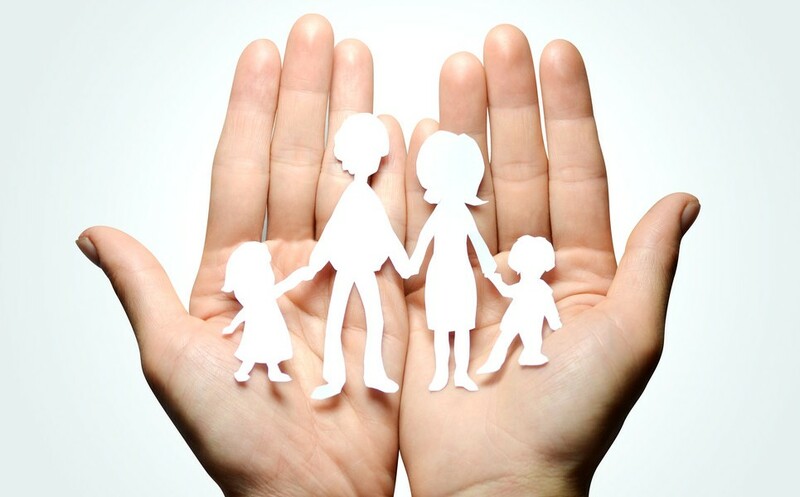 The trust helps to ensure the stretch-out of your IRAs or other qualified retirement accounts for your children and also to protect them from divorcing spouses, bankruptcy, lawsuits, and other predatory creditors taking the accounts from them. Typically, when doing this type of advanced estate planning, a married couple will establish two Standalone Retirement Trust, one for each spouse. If both spouses were to die simultaneously, each spouse’s retirement accounts would funnel RMDs annually to their Standalone Retirement Trust for the benefit of their children or other beneficiaries calculated based on the ages of each beneficiary at that time. The Trustee of the Standalone Retirement Trust must elect to stretch the IRA or other retirement account for each beneficiary and begin taking RMDs for each trust beneficiary by December 31st in the year following your death. Alternatively, if your spouse were the primary beneficiary of the IRA and they are still alive upon your death, it would not be until your spouse’s death that the Trustee of your Standalone Retirement Trust would stretch the IRA for the benefit of your children or other trust beneficiaries. This is because most married couples elect to list their spouse as the primary beneficiary of the account and their Retirement Protector Trust as the contingent beneficiary. It’s also important to note that when your spouse completes a spousal rollover after your passing, they should update the IRA beneficiary designation form to list their respective Standalone Retirement Trust as the new primary beneficiary (and make sure they have an enhanced durable Power of Attorney as part of their estate plan to ensure that a Power of Attorney agent is able to do this on their behalf if they lacked capacity). Upon the death of the surviving spouse, the trust beneficiaries generally take distributions from the IRA based on the life expectancy of the oldest beneficiary if only the trust itself is listed on the beneficiary form, but there is a far better alternative to this result. If the Trustee of the Standalone Retirement Trust splits the IRA or other retirement account into separate accounts for each beneficiary, each beneficiary’s share can be individually stretched based on their own life expectancy. The benefit in that is that a younger beneficiary will be required to take a smaller distribution from the IRA annually than an older beneficiary, thus allowing that beneficiary’s share of the IRA to remain in a tax deferred environment longer – accumulating more money over time. This beneficiary specific stretch through the Standalone Retirement Trust is usually achieved by using a custom drafted addendum attached to the retirement plan custodian’s beneficiary designation form. In the case where your primary beneficiary is not a spouse, you would name your Standalone Retirement Trust as the primary beneficiary (with an addendum if the trust has more than one beneficiary). While you are alive, you as the IRA owner, need to begin taking RMD payments at age 70 1/2 using the IRS Uniform Distribution Table to calculate the distribution that must come out of the account and be taxed as income to you (note, this is not the case for ROTH IRAs). Upon your death, your Standalone Retirement Trust beneficiaries are required to take required minimum distributions by December 31st in the year after your death. If the Trustee of your Standalone Retirement Trust stretches your IRA, 401K or other qualified retirement account, your trust beneficiaries would receive an annual distribution from your accounts. Again, it is important to note that each beneficiary’s share can be stretched based on their own life expectancy if the form calls out the separate shares of the trust on an addendum to the beneficiary designation form.